Compare discounted prices on Debrecen Airport car hire - Cheaper SUV, MPV & 7 seat minivan rental in Debrecen. We have got a good choice of cheaper, quality vehicles for hire in Debrecen & Airport (DEB). Our renowned partners offer discounted prices on estates, station wagons, SUV, minibuses and 7 passenger MPV..
A lower prices does not mean you have to worry about a lack of quality, as you get the same standard of automobile and level of service, as if walking into the local depot and paying the higher local rates. If need something a bit bigger, then rent a minibus, to seat up to 9 passengers. Sat Nav is an optional extra. Hertz are our supplier of choice at the airport, but we also have rates in the town with Budget and Europcar. If need car at the weekend, then airport is your best bet, as downtown depots usually close Saturday lunchtime until Monday. You will find this large city in the east of the country, close to the Romanian border. 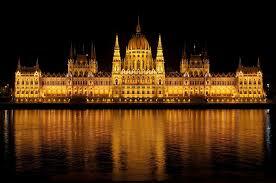 It has twice been the capital city, but that now belongs to Budapest. The locals are known as Civis. 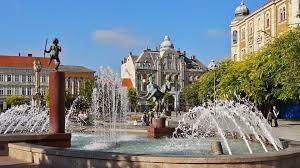 For more information on this Hungarian city, check the Debrecen Tourism website link below. The international airport that serves this part of Hungary, has the IATA code of DEB and is onlythree miles outside of the city, to the south west. Due to the location, the airport can also serve as an ideal gateway, if your trip includes driving to Romania, Ukraine and/or Slovakia. Although staring life in the 1930's, it is only recently that it has been developed into an airport for all the usual purposes. Debrecen vehicle hiring made easy for CRV, SUV & MPV. We offer cheaper holiday auto rental rates in Debrecen. Compare lower cost people carrier rates in Debrecen. Need to do drive one way to another part of Hungary and leave the car there? One ways are allowed within Hungary and within Europe. 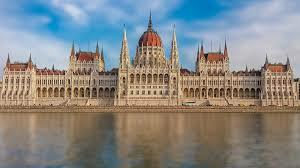 So if want to go from Debrecen to Budapest or Hungary to Germany, then check our prices. Get unlimited mileage included and all the standard packages that would you expect. You only save on price, not on quality or service.